SwitchLab Inc., founded in 1988, is a professional manufacturer of electric machinery switches and terminal blocks in Taiwan. SwitchLab Inc. over the years has constantly developed European type switches, Japanese type terminal blocks, and some of European type terminal blocks to meet market demand. Meanwhile, the electric machinery market is growing up fast. With over 20 years of experience in the development of electric machinery products, SwitchLab (Deca Switchlab) becomes a leading manufacturer of professional illuminated pushbutton switches, particular switches, & terminal connection in Taiwan. Their products, not only switches but also terminal blocks, dominate more than 50% market share in the industrial field of Taiwan. Based on experienced R&D team & full-integrated production process, they create many new products available on market every year. They are OME/ODM for famous companies worldwide. Deca’s products dominate more than 50% market share in the industrial field of Taiwan. IBS Electronics is a distributor for Deca’s products including everything from Terminal Blocks, Industrial I/O Modules to Push-buttons and Industrial Switches. Deca is a leading manufacturer of professional illuminated push-button switches and terminal connectors. Deca has a wide range of terminal blocks & barrier strips. Deca SwithLab offers a full range of single-level and two-level feed-through screw connection DIN-Rail terminal, test, disconnect and grounding blocks. The IDC connector module provides user a convenient, quickly installed and easily replaced input/output platform of all common PLCs. D-Subminiature connector modules are used in industrial control as a connecting interface between electronic and conventional components. 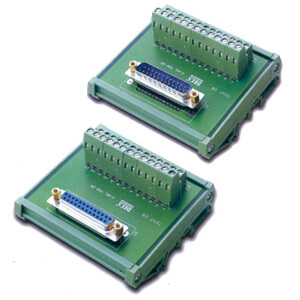 The relay modules are utilized as the connecting interface between electronic and conventional components. The Component housing modules provide user a convenient, quick installation, and ease of replacement. DECA offers various switches and pushbuttons. With DECA's Compact pushbuttons in many control designs, more and more customers find the value to adopt these products. Safety Meter A full range of systems for liquid level measurement for different industries.